During the month of October, the Center for Women and Gender (CWaG) worked to spread the message on dating violence to students through various events and displays. Many may still recall one particularly eye-catching display of two hundred red flags outside the SAU. Each flag represented someone who experienced relationship violence in the U.S. every 10 minutes. Kelly Kamish, assistant director for programming, education and outreach at CWaG, was the organizer of these events. Dating violence occurs in many forms: emotional abuse, physical abuse and digital control. Even if actions don’t escalate to a point where you fear for your safety, your romantic partner can still display controlling behaviors which may make you uncomfortable. In one of the earliest CWaG events for October — Dialogue and Dessert — Kamish discussed certain signs to look out for. One common sign she mentioned was a partner asking your roommate to let them into your dorm while you’re gone. You can also tell when your partner is being controlling if they ask for the passwords to all your social media. This small step can lead to abusive behavior that can present a particular issue for college students who use social media. If you find that your relationship has some unhealthy behaviors, but you want to remain with your partner, CWaG does offer couples counseling. In some case, an abusive partner will not admit that their behaviors are harmful and may refuse to go to couples counseling. If you find yourself in this situation and need to speak with someone, CWaG is completely confidential. They do not report Title IX related incidents unless you say that you want to report. The same goes for the Ombuds Office. Located in the SAU, Ombuds is led by Joe Johnston. The office operates on four principles; confidentiality, impartiality, informality and independence. Johnston explained that the office does not try to push anyone towards a particular decision. Rather, it helps people explore their options and provides a safe space for discussion. “One of the questions I would ask is: 'what do you think you should do?' or 'have you spoken to friends or family? And if so, how’d that go? And if not, is there a reason why you haven’t?' And then generally, especially in a case like [dating violence], I would say 'have you thought about going to [the] Center for Women and Gender?' ... So, sometimes it can be referrals, sometimes it can be coaching, sometimes it can be reflection. It’s really a safe space for them to talk about their options ... or how to weigh the pros and cons of choosing a particular road to go down,” said Johnston. Also, if you’re not ready for a report to be made but want to learn about the formal process of reporting dating violence, Johnston can make an anonymous call. Through this call, he can find out what steps you would have to take and the effects that are probable for your specific situation. After speaking with the Ombudsperson, you can decide to file a report through the Title IX office. Although Johnston does not become involved in this process, he can still provide support. If you believe that your friend may be in an abusive relationship, you can also visit these two places for guidance. CWaG can provide coaching on how to help your friend. 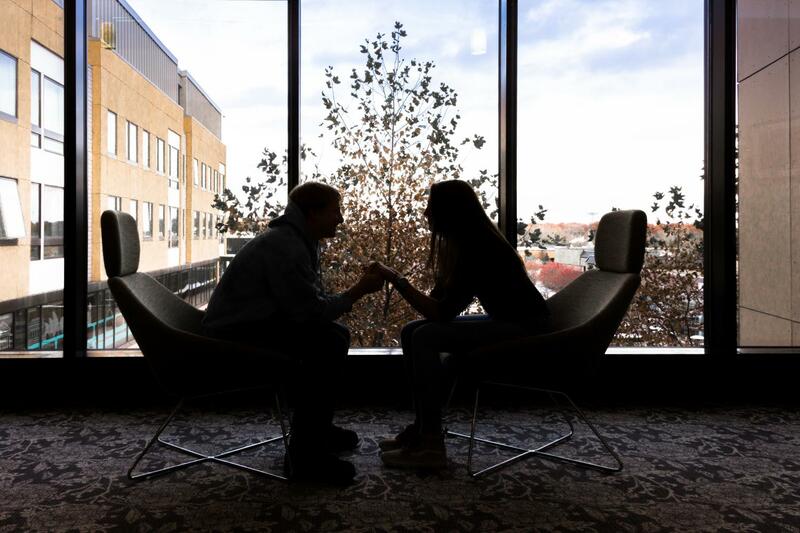 The Ombuds office is also willing to help you sit and discuss options, including trying to judge whether you want to report for your friend or if you want to approach the friend. In cases where it seems that the friend may have a safety risk, you may feel that it’s better to report to Title IX without the friend’s consent. Coming forward may be difficult, but speaking up — even through an anonymous method — is the first step toward healing an unhealthy relationship or getting yourself out of one.